Employers, Are You Interested in Hiring Veterans? The following post includes five reasons why employers should hire veterans for entry level jobs. For new college graduates, it may be hard to wait for a response to their job applications; however, they must understand that it is part of the application process. In the following post, learn why it may take some time to receive a response after applying for recent college graduate jobs. So, you are a military job seeker attending a job fair. How can you make most of this experience? Here are some helpful tips in the following post. After attending numerous military job fairs as part of my work, I have witnessed firsthand countless job seeker mistakes that are easily avoidable. The list below was compiled in order to provide useful advice to assist transitioning military service members with marketing themselves more successfully and to help them overcome some common challenges. Before accepting a job offer, you need to think about what you will get out of it. Learn more about how you can use negotiation to your advantage in the following post. Great news! You aced your interview and have received an offer for a rewarding career, but the journey to your new career doesn’t end here. For many, negotiating the offer can be the most difficult part of finding a job. You may not know what you are worth in the civilian workplace, or have unrealistic expectations in terms of salary. Here is a guide to this complex step of the process. After a little while searching for jobs, military veterans probably wonder why they can’t get hired. In the following post, learn eight reasons keeping them from landing new positions in the civilian workforce. Today we welcome a guest blog post from Todd Hecht, a Recruiter at Orion International and Navy veteran. There is no doubt in my mind that the job market is tough overall and even tougher for newly transitioning veterans. You would be hard pressed not to find blog after blog and LinkedIn post after post that identifies the reasons why the market is so tough for our Nation’s Heroes. There is no shortage of people identifying what the Government can do or what companies can do to help our veterans. If you are a veteran looking ahead to your next career move, there are some steps you can take to prepare for it. 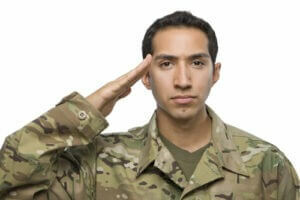 The following post offers them to assist you with transitioning into a civilian career. One of the first questions to cross a transitioning veteran’s mind is when is the best time to begin their career search. In most cases, the right answer is approximately 18 months from the date you plan to begin your next career. Based on that timeline, you can use the following checklist as a guide to ensure you are doing everything possible to prepare for your transition.